With midterm races in the home stretch and the 2020 presidential election on the horizon, a pair of top national security officials have a message for state election administrators: Trust us when we warn you about cyberthreats. William Evanina, director of the National Counterintelligence and Security Center, and Christopher Krebs, the Department of Homeland Security’s cybersecurity chief, urged state officials to keep their lines open to the feds as Election Day approaches and the possibility of an attack on their systems looms large. State and federal officials insist they’ve made vast improvements in the way they share threat information since the 2016 election, when a lack of coordination between state offices and the government’s sprawling intelligence bureaucracy prevented them from getting a clear picture of Russia’s interference campaign and responding accordingly. But the remarks from Evanina and Krebs show that a potential communication breakdown remains a top concern. And the November midterms will represent a critical test for how much those relationships have improved. In the wake of the 2016 election, many states bristled at the idea of the federal government taking a greater role in election security, said Krebs, the head of the National Protection and Programs Directorate, DHS's main cybersecurity unit. The department, he said, got “a number of love letters, or hate mail, or however you want to describe it” from state officials angry about the Obama administration’s abrupt decision to designate election systems as critical infrastructure, which tasked DHS with protecting voting machines and election equipment from digital and physical threats in the same way they protect power plants and hospitals. Many state officials viewed the move as overreach by the federal government. It was a challenge to convince states to take action on the government's warnings about cyberthreats because the right communication channels didn’t exist, Krebs said. Nor did NPPD have the credibility or name recognition among states when officials came to them with warnings about vulnerabilities or malicious activity. “Back in 2016 when the phone calls were made, saying, ‘Hey, look, we're seeing something. There's something go on in your network. I need you to take action. By the way, you have no idea who I am, you've never heard of NPPD, you've never heard who the leadership was at the time, but I need you to take this action.’ There was no trust, and there was no certainty or confidence in that ask,” he said. Officials also pointed to an array of new efforts that they said will help states and feds coordinate in a way that they didn't in 2016. For instance, DHS recently set up an information-sharing center specifically for election security threats and has sent teams to help states identify vulnerabilities in their systems. The department has also deployed cyber-intrusion sensors across the country that give DHS and state officials a clearer view of cyberattacks. And officials from DHS and the intelligence community have held classified briefings and regular conference calls with state officials on election security threats. States have their guard up going into the midterms, and with good reason. In 2016, Russian hackers probed election systems in 21 states, and penetrated a state voter registration database in Illinois, stealing records on 500,000 voters. Hackers also targeted state election officials with spearphishing attacks, at one point posing as a voting equipment vendor and sending dozens of emails laced with malicious software to election administrators in Florida. Intelligence officials say they haven’t seen the same magnitude of interference this year, but they warn that Russia is still targeting the midterms. PATCHED: The Dutch defense minister said that his country’s military intelligence thwarted a Russian cyberattack against the Organization for the Prohibition of Chemical Weapons, the Guardian’s Pippa Crerar and Jessica Elgot reported. “The attack, which was thwarted with the help of British officials, came after the GRU cybercrime unit had also attempted a remote attack on the Porton Down chemical weapons facility in in April and on the UK Foreign Office in March. Both attacks were unsuccessful,” Crerar and Elgot wrote. “The attack on the OPCW is also believed to have been conducted by Russian military intelligence, the GRU, which has been blamed by the British government for the attack on Sergei and Yulia Skripal in Salisbury in March. The Dutch defence minister, Ank Bijleveld, said four intelligence officials from the GRU’s cybercrime unit, known as Sandworm, had been expelled from the Netherlands after being caught spying on the chemical weapons body in April." PWNED: Chinese spies secretly implanted surveillance chips in data center equipment used by Amazon and Apple during the manufacturing process, Bloomberg's Jordan Robertson and Michael Riley write in a deeply reported cover story today. The chips, which were found in hardware made by the San Jose-based company Supermicro, "allowed the attackers to create a stealth doorway into any network that included the altered machines," they write, citing government officials. Thank you to @SenRonJohnson, @clairecmc and the rest of the Senate for voting to create the first cybersecurity agency in the fed gov’t. Perfect timing as Oct. is #CyberMonth2018. 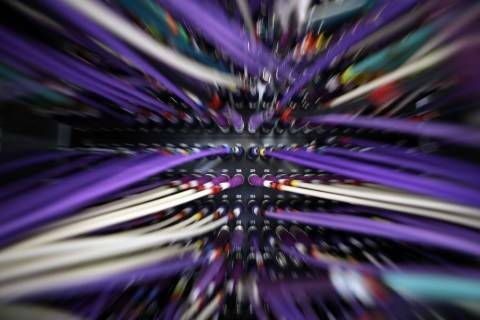 This will go a long way in our ability to defend the nation against #cyber threats. — Ethical hackers discovered about 150 vulnerabilities on public-facing U.S. Marine Corps websites as part of a bug bounty operation, the U.S. Digital Service announced Wednesday in a post on Medium. The security company HackerOne partnered with the government to set up the Hack the Marine Corps program. Over 20 days, 105 hackers looked for weaknesses on about 200 public-facing websites, and those who found “valid” glitches received a combined amount of about $150,000, the post said. In one instance, a group of three hackers managed to “access certain records” about Marine personnel — which allowed them to share a reward of $10,000. The most successful participant earned $26,900 for discovering several vulnerabilities, and the whole program cost $350,000. 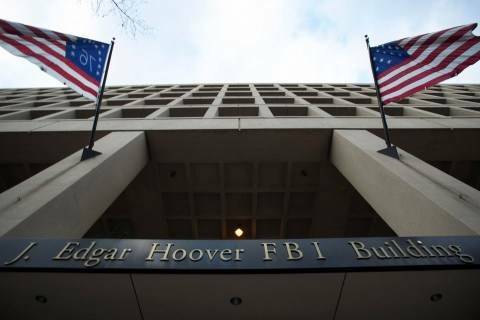 Conservative Republicans investigating the FBI’s conduct say James Baker shed new light on their probe. A prominent Russian-linked hacking group that carried out a series of high-profile cyberattacks during the 2016 election has reverted to more covert intelligence gathering methods, a cybersecurity firm revealed Thursday. Police found that when Navarra’s Fitbit recorded her heart rate stop, video surveillance showed that the car of Aiello, who had visited her, was still outside her home, according to the Times. “Mr. Aiello was ‘confronted’ with the Fitbit information during questioning, said Brian Meeker, a San Jose police detective. ‘After explaining the abilities of the Fitbit to record time, physical movement, and heart rate data, he was informed that the victim was deceased prior to his leaving the house,’ Detective Meeker said in the report,” Hauser wrote. 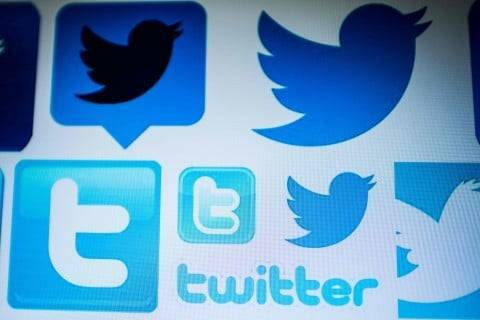 The report found that 80 percent of the Twitter accounts that frequently shared links to phony news reports during the 2016 election remain active and, as a group, publish more than a million tweets in a typical day. Some researchers say the ads placed on partisan sites is financing the spread of divisive and conspiratorial content without the advertisers’ knowledge.